Although your watch may say it’s water resistant up to 30 meters, that does NOT mean that you can hop in a pool and swim a few laps. When a company tests a watch, the tests are run in a laboratory under optimum conditions. For instance, the gasket and seals are new, the watch sits stationary in a pressurized water tank, and the water is motionless. These tests do not translate to real life use, and for that reason, you should understand what the water-resistant depth actually means. In this article, you’ll find three units of measurement: meters, atmosphere (ATM), and bar. Atmosphere, or ATM, is the rating for water resistance. One atmosphere is the normal pressure at sea level, so if a watch has 3 atmospheres then it will remain water resistant three times the pressure at sea level. Bar, similar in measurement to atmosphere, is most commonly used in Europe. Both 1 ATM and 1 bar are equal to 10 meters. 1. You can swim with this watch, but it’s not recommended. 3. These watches are also tolerant to shock, magnets, and salt water. 1. Test your watch once a year for water resistance. Although it may say it’s water resistant when you purchased it, over time, the seals will erode and will not maintain the same water resistance. To test your watch, simply take it in to your watchmaker, and they should have the necessary equipment. 2. Avoid hot water and drastic temperature changes. This can affect the shape of the gasket seals. 3. 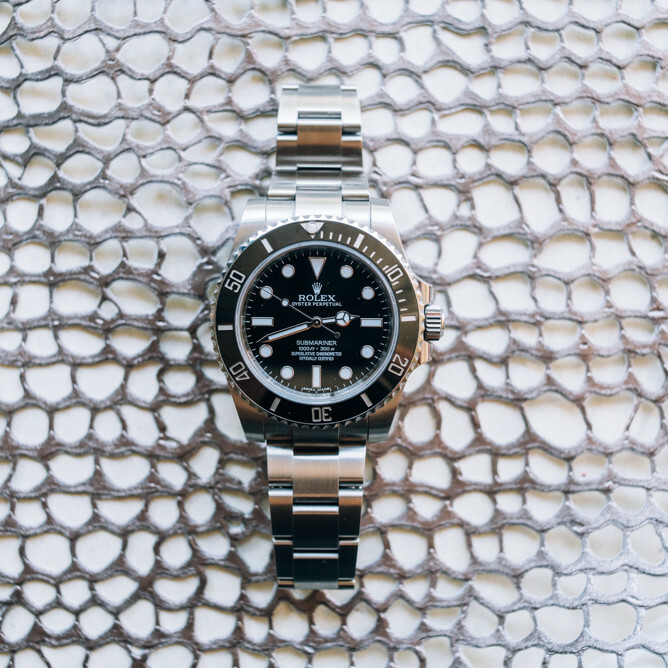 If you intend your watch to get wet, then we recommend purchasing a watch with a screw-down crown. But even with a screw-down crown, you should NEVER open or wind the crown while in water.